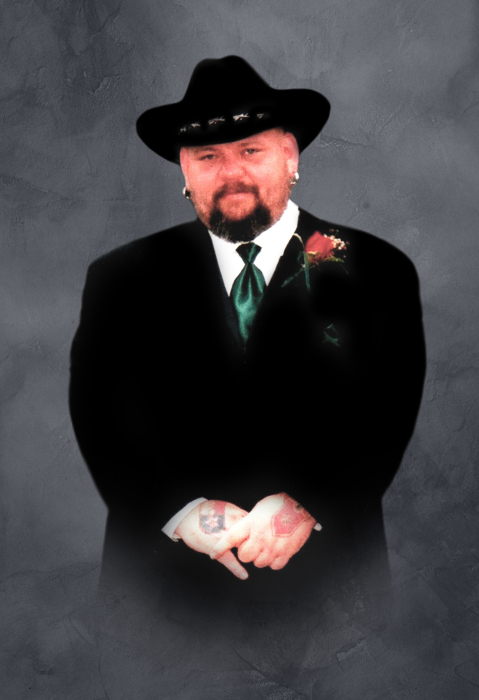 Jimmy Rister, Jr., age 52, of West, Texas and formerly of Copperas Cove went to be with the Lord on Wednesday, October 10, 2018. A Memorial Service will be held at 2:00 pm, Sunday, April 14, 2019, at Scott's Funeral Home of Copperas Cove. Jimmy was born on May 29, 1966, in Mt. Carmel, IL to James Rister Sr. and Glenda Johnson Rister Smith. In May of 1969, he moved to Copperas Cove with his family and attended Copperas Cove High School. Jimmy loved his role as head security in the Austin nightlife. He also loved Renaissance reenactment, being with his friends and supporting the Dallas Cowboys. He was a man of few words whose actions would speak louder than his words and would give the shirt off his back to help anyone. Jimmy was preceded in death father, James Robert Rister, Sr.
Jimmy is survived by his mother, Glenda Smith and his dad, Michael Smith of Copperas Cove; sisters, Sheila Rister, Sheri Rister, Patricia Smith; brother, Eugene Rister; several nieces, nephews, aunts, uncles, and cousins all whom he loved.